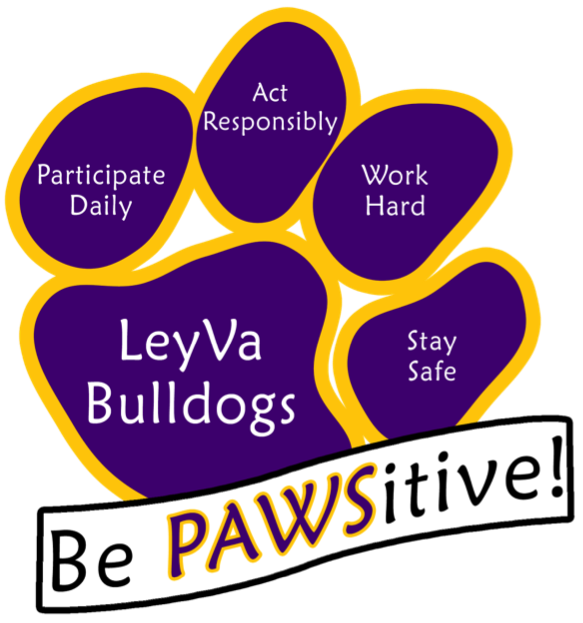 LeyVa Middle School s committed to providing a safe, healthy nurturing learning environment for all its students. Promote positive behavioral expectations (Participate Daily, Act Responsibly, Work Hard, Stay Safe). Teach behavior expectations (model what is expected). Reinforce positive behaviors with rewards and praise. Implement consistent consequences for inappropriate behaviors. LeyVa Middle School makes every effort to ensure gender equity. All facilities, classes, awards, and extracurricular activities are made available and are open to all LeyVa students. Our physical education program is co-educational. Students are encouraged to join clubs, and to participate in school wide activities without regard to gender. California Healthy Kids Survey, which measures school climate, engagement in learning, youth health-risk behaviors and other barriers to academic achievement; and youth development, resilience, and well-being. Youth Truth Survey, This survey asks students about their experiences in the school and with their teachers, including how engaged they are at school, the rigor of their coursework, and their preparedness for the future. Our school, other schools, and researchers may use such information for developing plans to help schools and teachers improve. Results of these surveys are available in the school's front office.